Montreal Castle, half-feudal and half-Renaissance structure, is elevated at the top of a hill dominating the Crempse River, surrounded by fine buildings. Belief is that, Sire de Montréal, Claude de Pontbriand who accompanied Jacques Cartier during his second travel to Canada, gave his name to the town built on Saint-Laurent River. 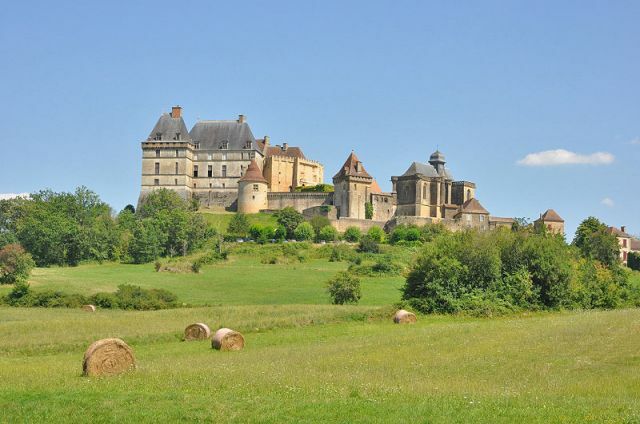 You will find all the Périgord charm at the doors of Bergerac. 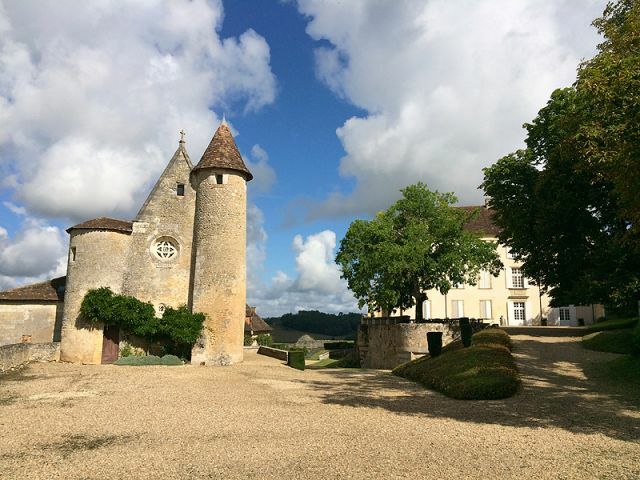 Built on the hill, château de Monbazillac guards the prestigious Monbazillac vineyard. Its elegant structure emerged from the vineyards. 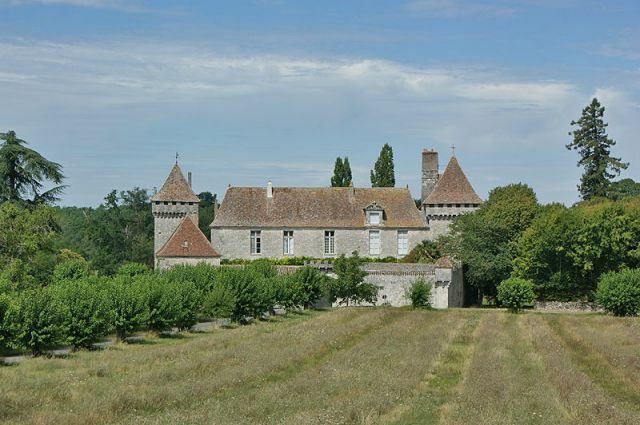 The castle was restored by Monbazillac Cooperative winery, owner of the Château de Monbazillac. Auriane’s tip: wine tasting is included in the visit and promotes this famous Périgord liquorous white wine. A historic as well as tasting experience! read Auriane's article. Château de Michel Eyquem, Seigneur de Montaigne (French Renaissance philosopher 1533-1592) is situated in Périgord, just outside Bergerac and Saint-Emilion, at the heart of a majestuous park. There, since the 14th century, stands a castle that has been altered many times, and partially rebuilt after the fire that destroyed it in 1885. Today Château de Michel Eyquem is an inhabited private property and the castle is not open to the public. Only the tower prevented by the fire is open to visit. Montaigne used it as its safe haven. On the ground floor, the chapel is dedicated to Saint Michel; on the first floor, the bedroom where he died and on the top floor, the library where his humanist thoughts are engraved for ever through 57 greek and latin sentences painted on the beams of the ceiling, and where he wrote his Essays between 1571 and 1592. The guided visit of the tour is an invitation to put your steps in the ones of the famous philosopher through a complete recreation of its life, his time, his work and his thought. Château de Biron built at the top of a “puy”, reveals its enormous towers and defensive terraces on the border of the Périgord and the Agenais. Auriane’s tip: A combined ticket with “le cloître de l'abbaye de Cadouin” allows you a small discount. Kids will have fun with the hunting treasure events, organised each Friday at 10am during the summer. Read Auriane’s article. Towers, defensive walks, machicolation reveal the power of this fortified castle that Lanquais was during the One Hundred Years War. Lanquais Castle was a symbol of power and grandeur; and a prestigious Renaissance Palace was built beside it by the constructors of the Louvre, Palace of the Kings of France. During your visit, you will live the daily life of the inhabitants of Lanquais Castle from the Middle Age to the Rennaissance. Discover the furnished apartments, decorated with beautiful stone-carved fireplaces, the old kitchens or the weapons room. A back-in-time feeling always presents in Lanquais. Auriane’s tip: The castle is also a Guest House, it also organised medieval dinner parties with traditional music and costumes. Read Auriane’s article. 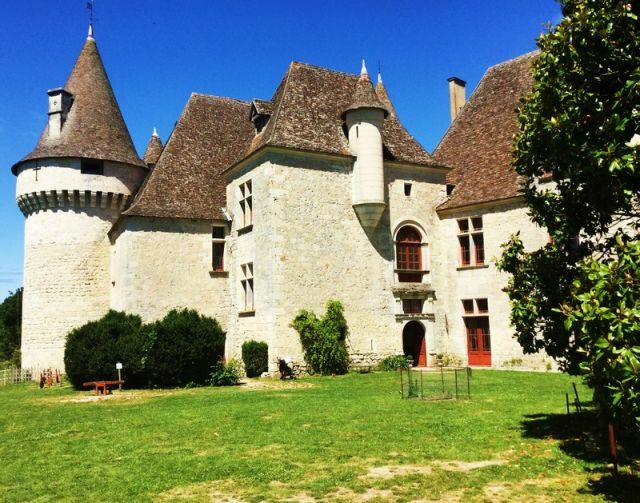 Château de Bannes is one of our biggest favourite: magnificent feudal fortress perfectly restored and fits imposingly at the top of a rock between Couze and Beaumont. Built for the Bishop of Sarlat during the 14th century, it is today a private property which is unfortunately not open to the public anymore but which is perfectly maintained! The castle is accessible with a drawbridge. Inside, is one of the most beautiful and monumental fireplaces in France. Situated 12 Km south of Bergerac (Dordogne), in Ribagnac disctrict- canton de Sigoulès – in a greeny countryside with picturesque landcapes with valleys, away from the large roads but a stone away from the famous Monbazillac vineyards, Bridoire castle is built on a rock, touching the hill of the Gardonnette south valley. Surrounded by 40 ha, the castle beautiful architecture restored in the 19th century, dates back from the 16th and 17th centuries. The North façade supporting walls dates from the 16th century. Their strength reveals the defensive vocation of this castle. Archives show the occupation of this site since the 12th century. 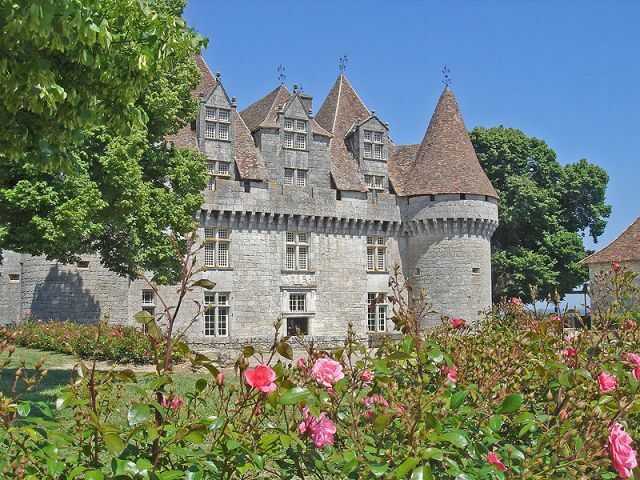 This castle was inhabited from 1806 to 1938 by the Foucauld, a family who became famous for providing one of the most prominent religious figure of the modern times: Father Charles de Foucauld. During the 19th century, Father Charles de Foucauld celebrated the mass in the chapel of the castle with a private box for the castle owner. After many difficult years, the castle sees a great revival with the arrival of new owners. Open visits, games available to the visitors, Shop... Bridoire night in July and August! Auriane’s tip: the mysteries valley is the new attraction of 2016. It is possible to buy a combined ticket with the castle. Do not forget your walking shoes and mosquitoes repellent! Read Auriane’s article. 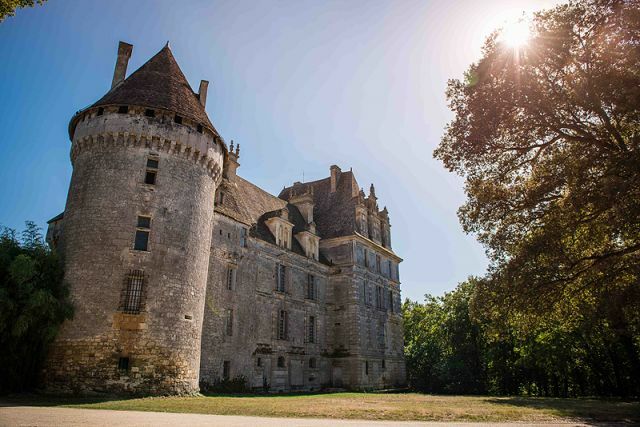 Strenghtned during the 14th century to become a powerful site, Château de Gageac was originally a guard tower from the 12th century depending of Duras. During the One hundred Years War, Du Guesclin besieged it during 5 days. 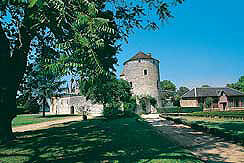 During the 17th and 18th centuries, it was transformed in a residence with a remarkable tower bell. 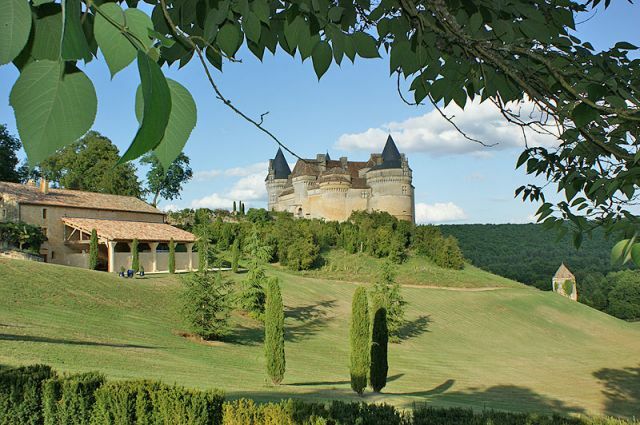 The castle is situated ath the heart of the Saussignac vineyard. Visits en July and August, except on Tuesdays.